You’ll know that you’ve arrived the instant you step inside one of the new 2018 Corolla models available at Nalley Toyota Union City. The dashboard in these stylish new sedans was designed to enhance their already upscale feel and features flowing lines, premium materials and available contrast stitching. Beautiful piano-black accents surround the large touch-screen of the 2018 Toyota Corolla, bringing the perfect amount of both technology and beauty to their inspiring and inviting interiors. 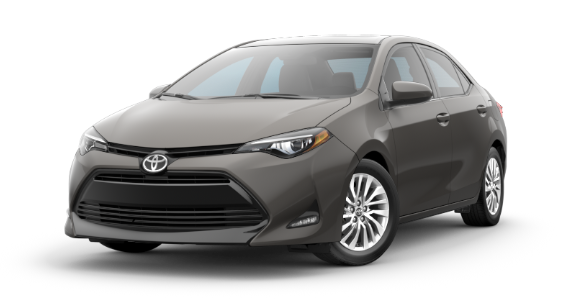 Our customers in Atlanta, and from across the state of Georgia just can’t seem to get enough of these exciting new Corolla models, and it’s easy to see why. New 2018 Corolla models at Nalley Toyota Union City were created for our Georgia customers that refuse to blend in with the crowd and accept the status quo. The new 2018 Toyota Corolla SE and XSE trim levels feature an aggressively sporty front end that will turn more than just a few heads on the busy streets of Atlanta. Loaded full with plenty of uncompromising attitude, your new 2018 Toyota Corolla will inform everyone you encounter that these striking new sedans are always up for some fun. Corolla’s standard Bi-LED headlights set the stage for the incredibly sleek appearance of these new 2018 models, no matter what time of day or night it happens to be. Designed to deliver when it comes to both style and performance, the lights featured on the 2018 Corolla lineup at Nalley Toyota Union City shine brighter and use less energy when compared to traditional lights. And with available Multi-LED headlights with integrated LED accent lights helping to raise your profile, Toyota Corolla makes it easier than ever to get noticed on the streets of Atlanta, Georgia. The convenient 60/40 split allows 2018 Toyota Corolla owners in Atlanta to easily reconfigure the rear seats when extended trunk space is needed. Simply fold one seat flat for a little extra space and quick access to the trunk, or fold both of them when you’re wanting to create a larger cargo area. 2018 Corolla models allow you to create so much extra space in fact, it will inspire you to head out and explore everything Georgia has to offer like never before. The 2018 Corolla models at Nalley Toyota Union City offer the space you need to haul all of your stuff, allowing their owners to indulge in all their hobbies without being restricted by a trunk that’s too small. Standard on the 2018 Toyota Corolla SE and XSE trims levels, a sport gauge cluster gives these exciting new sedans a sports-car-inspired illuminated speedometer and tachometer that will amplify any Atlanta, Georgia drive. A convenient 4.2-inch color Multi-Information Display shows all the vehicle data that Corolla owners are looking for, including current song selection, average mpg and much more. The available sport button located on the center console of new 2018 Corolla SE and XSE models will enable Sport Mode, where the Engine Control Unit and simulated shift points are automatically adjusted to give your every day Atlanta, Georgia commute a noticeably sportier feel. 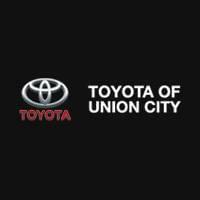 Nalley Toyota Union City assists customers from Atlanta, Union City, College Park, Riverdale, Fairburn and all of the surrounding communities, helping them find the new 2018 Corolla they’ve been waiting for. We take immense pride in the premium level of customer service that our Georgia dealership is known for providing, and we do our very best to ensure that every person that enters our dealership leaves satisfied. 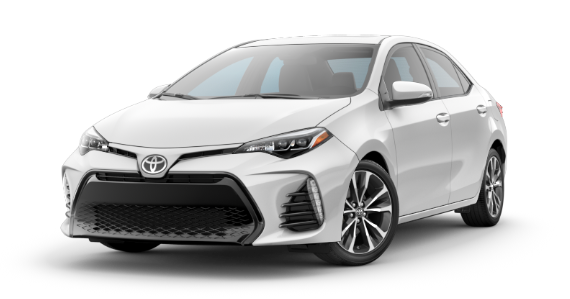 If you are considering the purchase of a new 2018 Toyota Corolla, stop by 4115 Jonesboro Rd in Union City and let one of our knowledgeable salespeople go over all of the purchasing options available to you.